We found 0 results for memory care in Eagle Lake, Maine. We have also included 3 results in surrounding areas. Dementia care costs in Maine range from about $155 up to $389 daily, with an average cost running about $239. The monthly cost averages roughly $7,177 and ranges between $4,640 and $11,658. On an annual basis, the mean cost is around $86,130, which is higher than the nationwide average of $60,900. Costs for Alzheimers care in Eagle Lake typically range between $3,218 per month and $7,178 per month. The median cost is around $5,536 per month, or around $66,429 yearly. Eagle Lake is a small city in Aroostook County, Maine. While the encompassing metropolitan area contains 416,557 inhabitants, there are just 1,112 living within the city itself. The senior community makes up about 45% of the overall population. 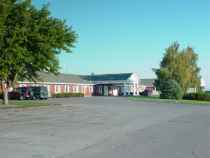 The SeniorScore™ for Eagle Lake is 61. The median housing price in the city is $168,000, which is much less than the state average of $253,500. Eagle Lake also has a low unemployment rate of around 3.18%. The city's median household income is $39,000 ($22,000 per person), versus an average of $47,000 for the whole of Maine. In relation to other cities, Eagle Lake has average air quality ratings. To see information on the SeniorScore™ for Eagle Lake, ME, please visit senioradvice.com/seniorscore/senior-living-in-eagle-lake-me.